I’ve enjoyed adding texture to these new pieces, while it slows the process significantly it is a delightfully fun new challenge. These all started on the wheel. 34, 35, 36 and 37 were done solely with the wheel while the other 3 were all modified with pinching and or paddling after. I found a bit of Ruststone clay in my studio that was frozen and thawed multiple times. It doesn’t work well for pinching unless you have unreasonable strong hands, so I paddled these into form instead. This claybody is much darker than the others you’ve seen in the 100 tea-bowls project and I’m excited to see the differences. 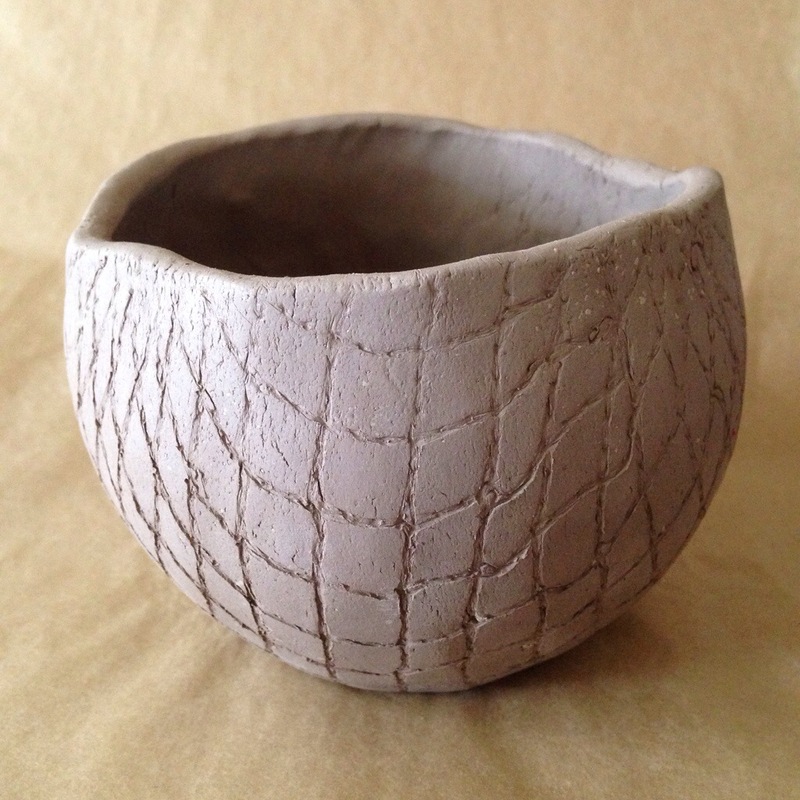 With this Wabi-sabi style approach to the tea-bowls, I’m trying different approaches for the foot (base of the piece.) With these two I gave them 3 little feet which add a bit of height, stability and visual breathing room between the pieces and the surface they rest on. I threw these two then modified them off of the wheel. And here we have number 25 which means I’m a fourth of the way through this challenge! I really enjoy the variety of this group. I formed #20 with legs from a single slab of clay (a nice change of approach and a good challenge on keeping it loose) #21 is an actual tumbler with a rounded bottom (webble-wobble and all) #22 is really tight, clean, and symmetrical and #23 is the largest I’ve stretched the size of the tea-bowl with a soft bulge of silhouette and hint of a lip. Having this much variety in such a small group of tea-bowls makes me anxious to see how far I can push the form for the remaining 77! For those curious, the white powder you see on the forms is actually cornstarch; I use it as a barrier so the clay doesn’t stick to surfaces when i’m hand building.